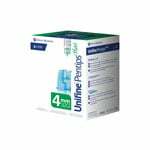 Pentips Plus are now available with 33 gauge needles. Owen Mumford has introduced a new pen needle that features a 33 gauge needle that is just 4mm long. These pen needles are offered in their safety and convenience packaging called Pentips Plus. 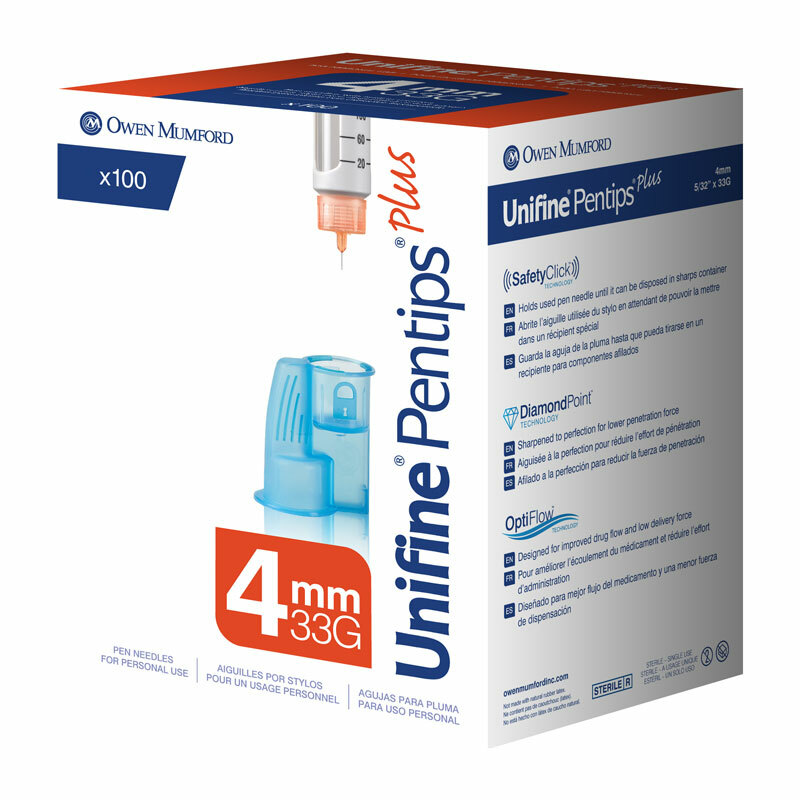 Owen Mumford's newest insulin Pentips features a 33 gauge needle and is just 4mm long. This new pen needle is being offered with a built-in needle remover, called Pentips Plus. perfecto, love the small 33g 4mm needle.